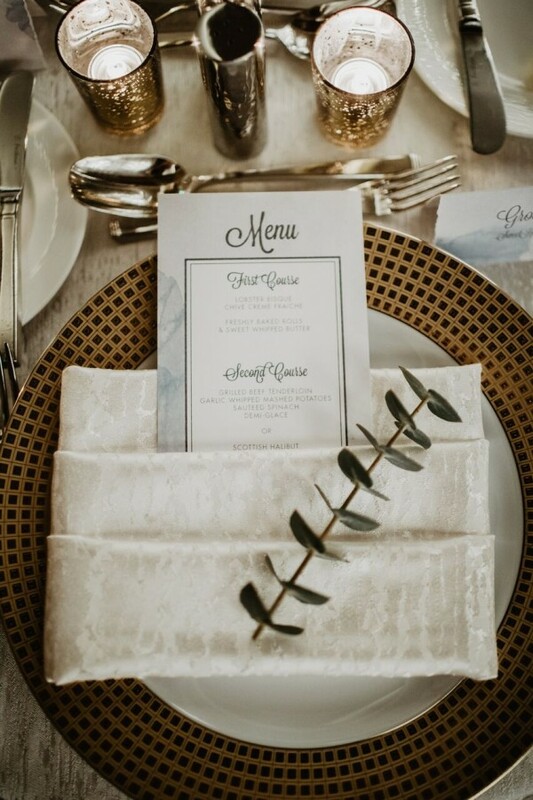 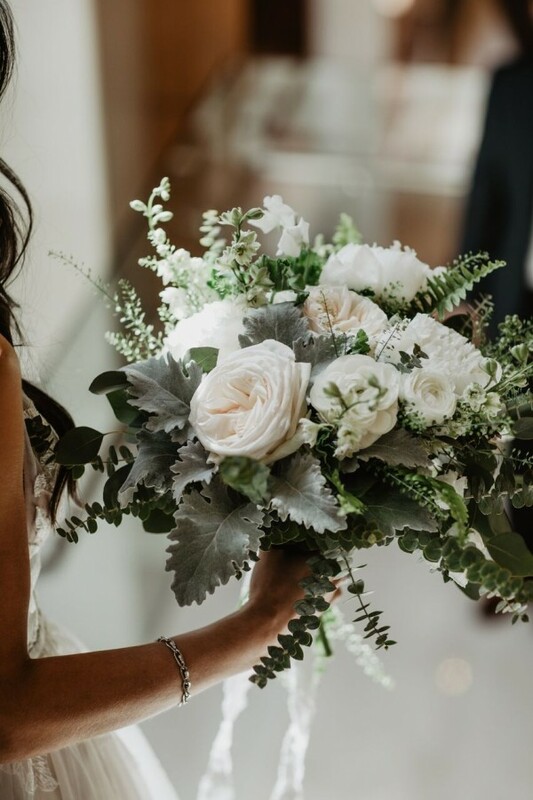 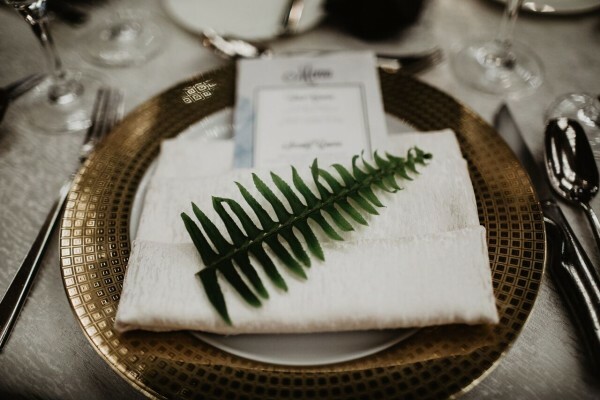 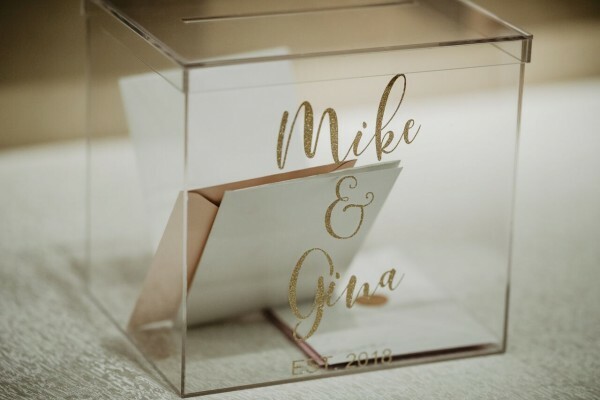 Gina came to us knowing exactly what she wanted in terms of the style and décor for her wedding. 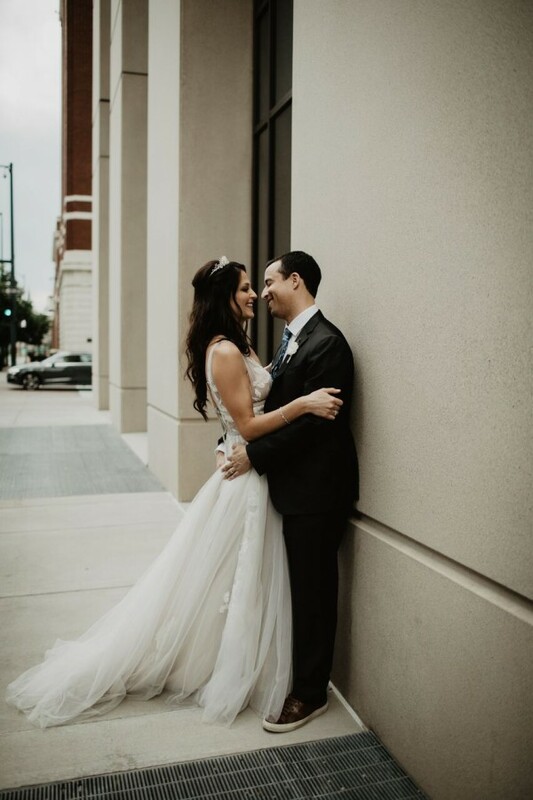 We became quick friends and still are, and she may have a wedding planning career in her future! 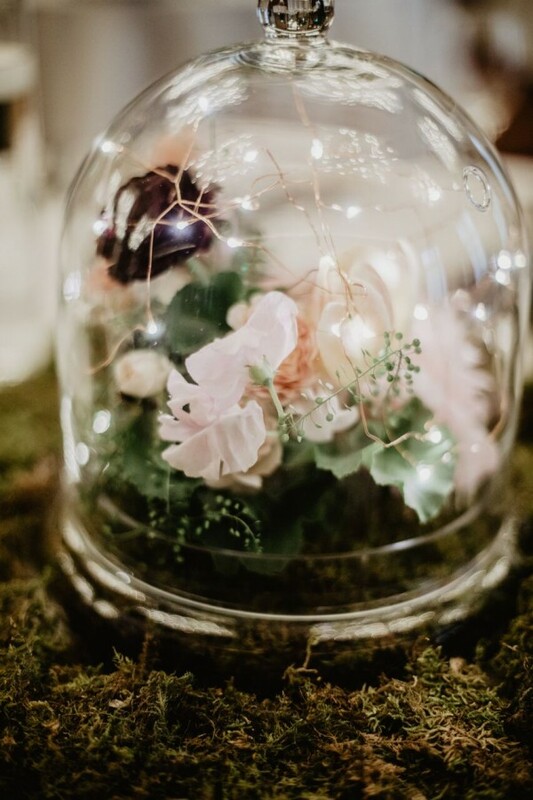 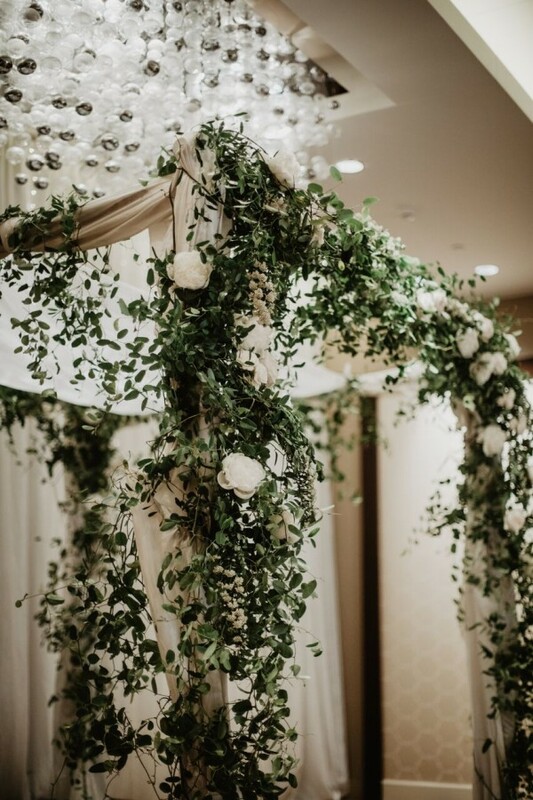 An enchanted garden with lots and lots of greenery was a consistent theme throughout the wedding. 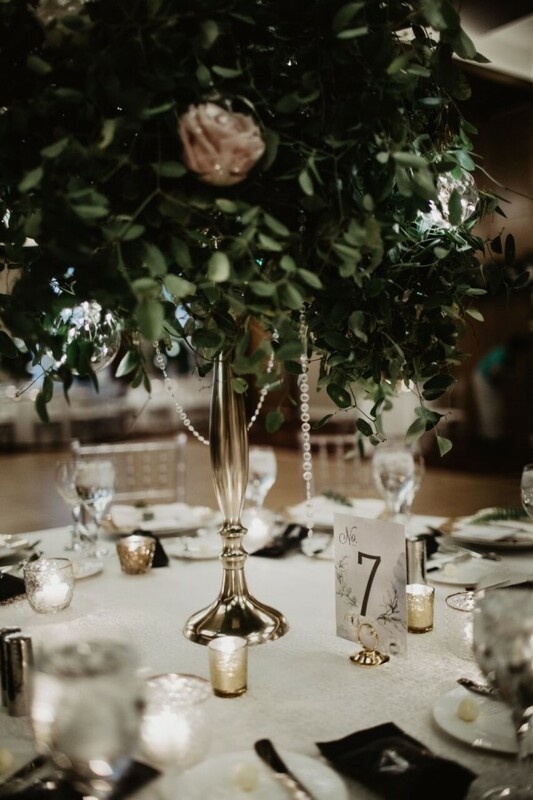 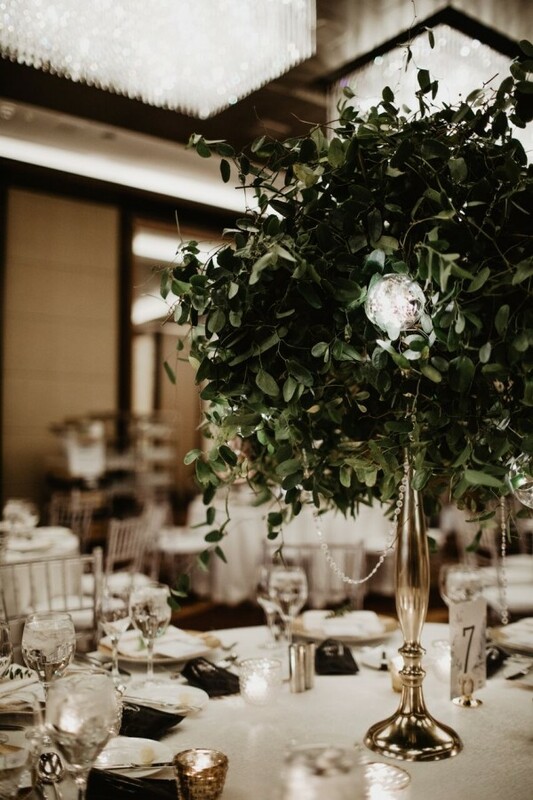 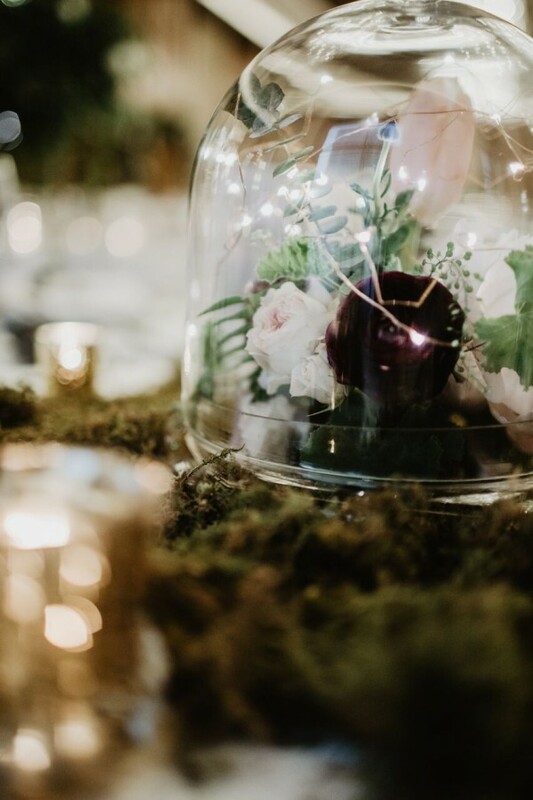 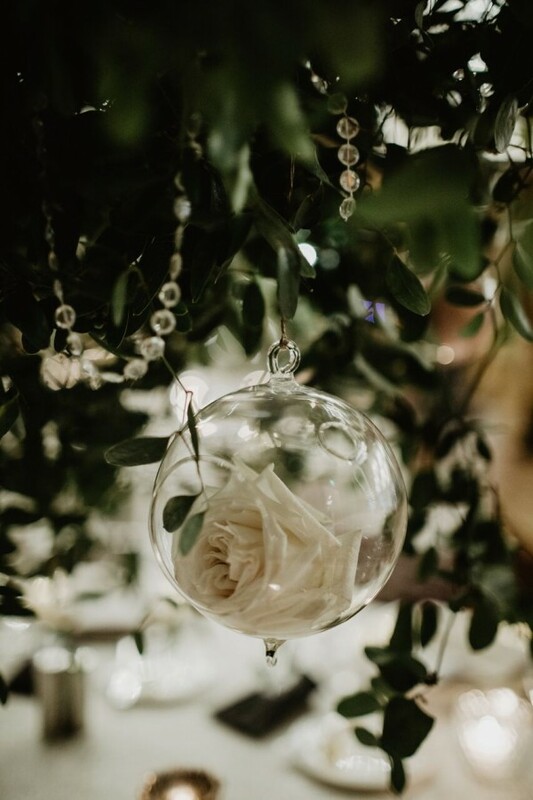 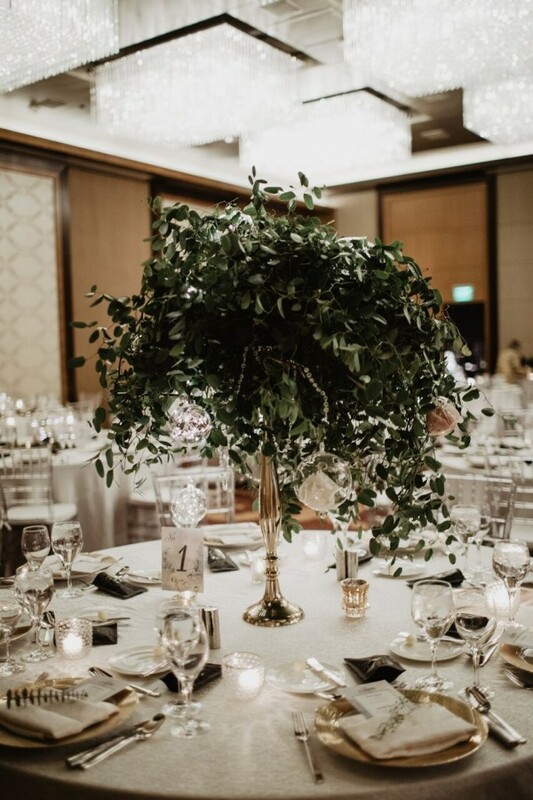 The large and tall bunches of greenery with hanging orbs filled with floral and lights were a huge hit and really transformed the Four Seasons ballroom. 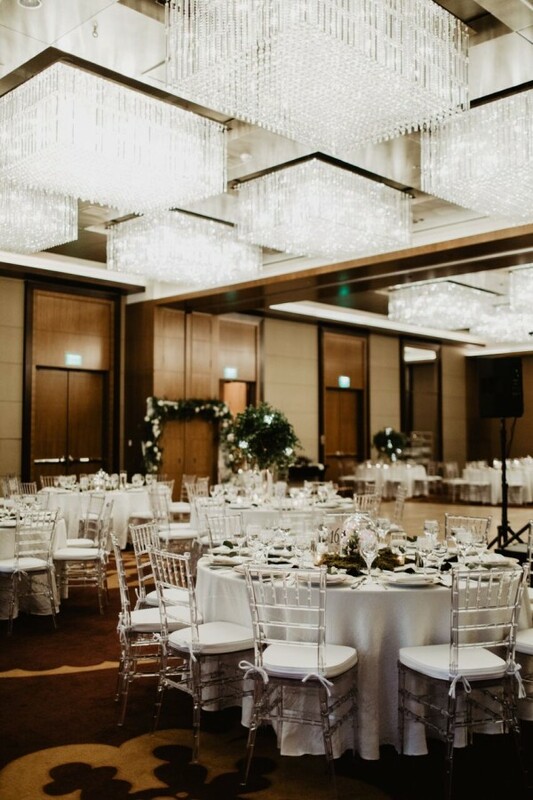 We LOVE working at the Four Seasons in Denver, and their ballroom is one of the best because it has beautiful windows and stunning crystal chandeliers. 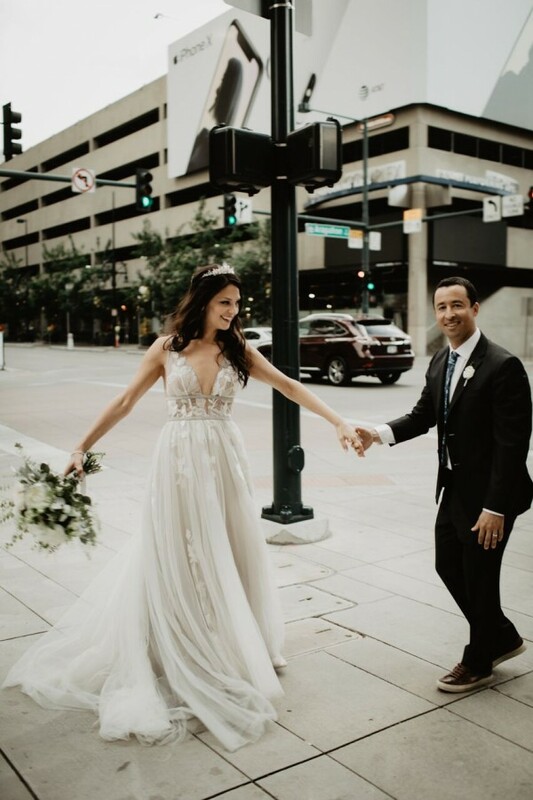 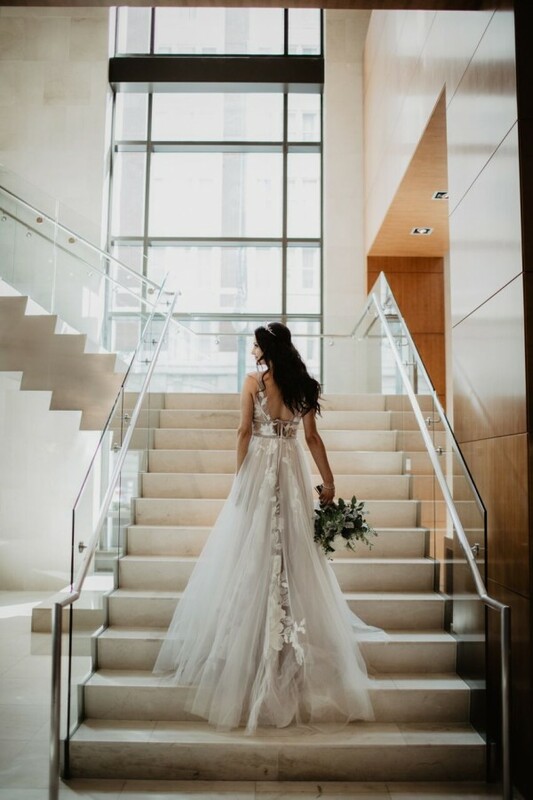 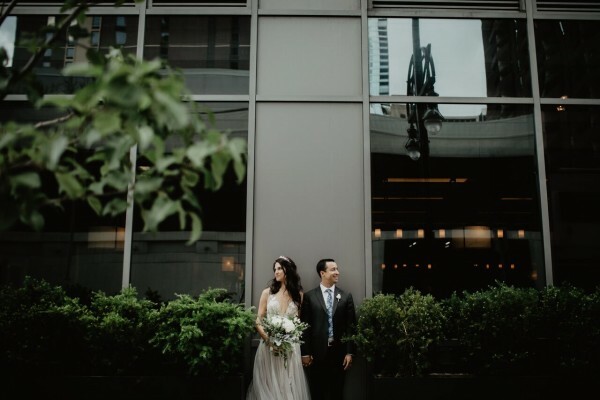 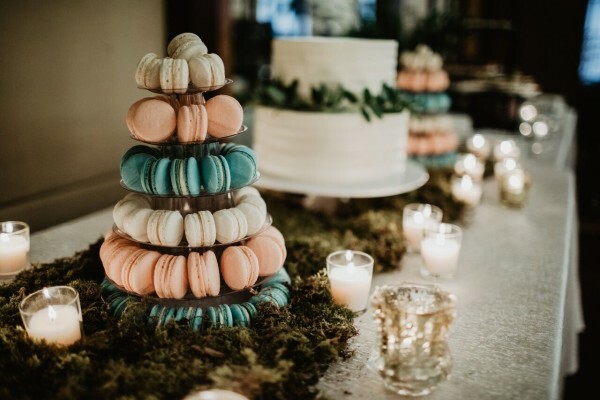 This wedding was definitely not the typical style you see at a Four Seasons Denver wedding, which makes it so unique! 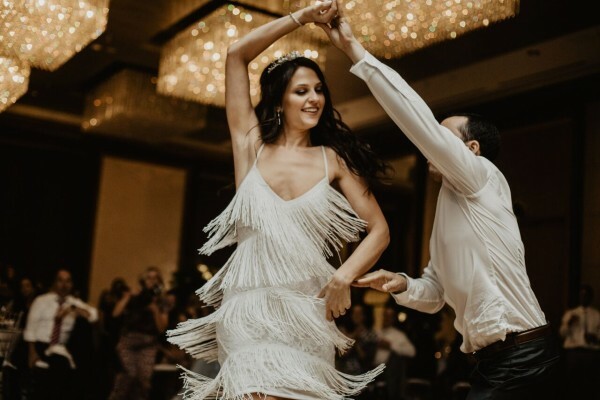 Gina and Mike love to travel, and they especially enjoy exquisite food, drink, dance, and coffee. 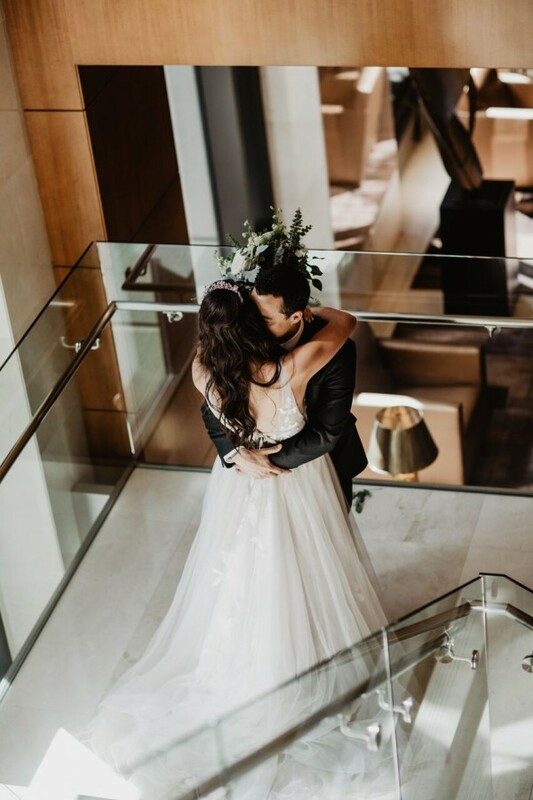 They even met for the first time in Iceland watching the Northern Lights (seriously the most romantic story I’ve ever heard). 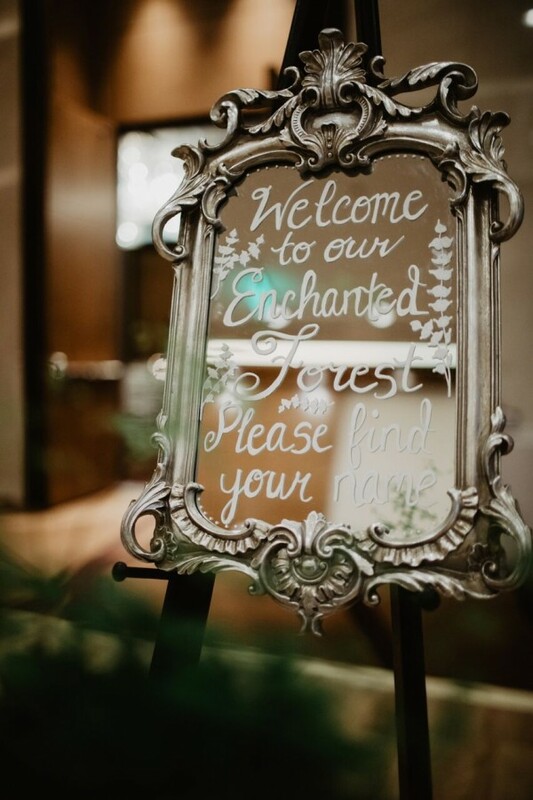 They really wanted to incorporate this aspect of their lives in their wedding, and they did so in a couple of ways. 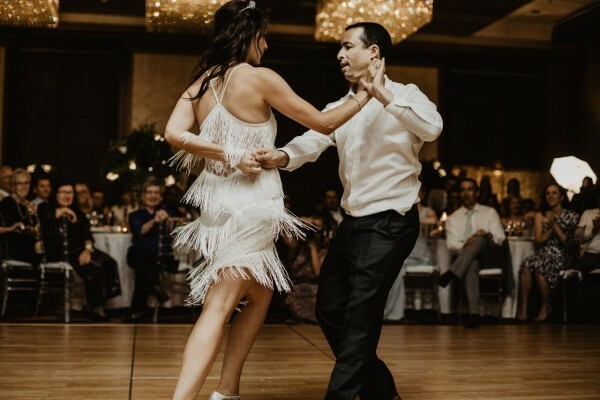 Their first dance was a salsa dance that was a huge crowd pleaser. 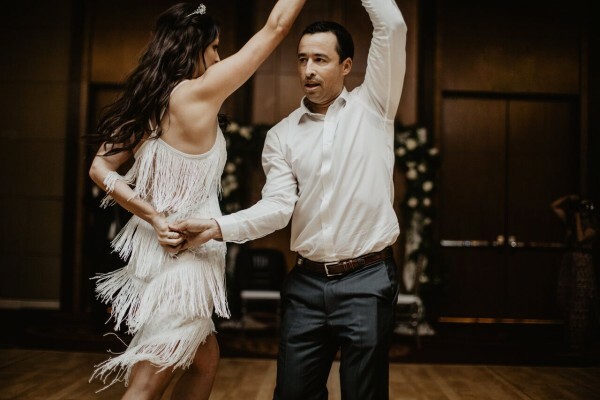 Gina did a full outfit and shoe change just for the dance – the pictures are AMAZING (thanks Matt and Jess!). 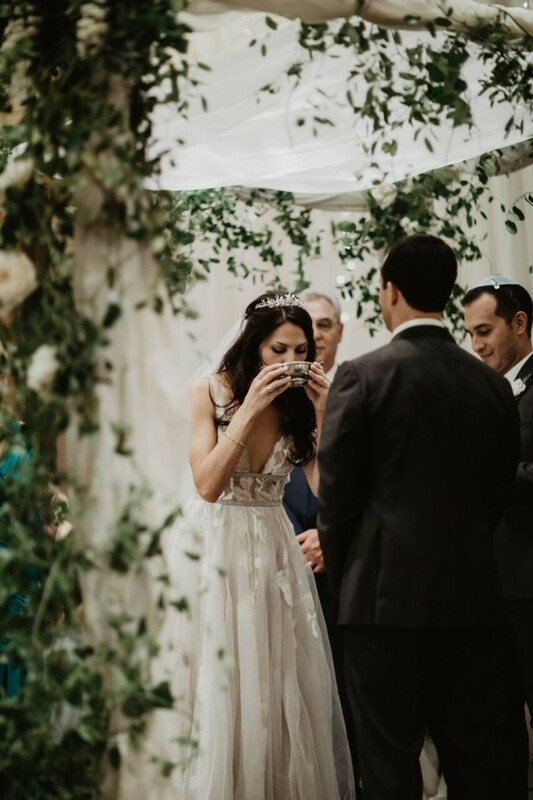 Coffee was incorporated as the wedding favor. 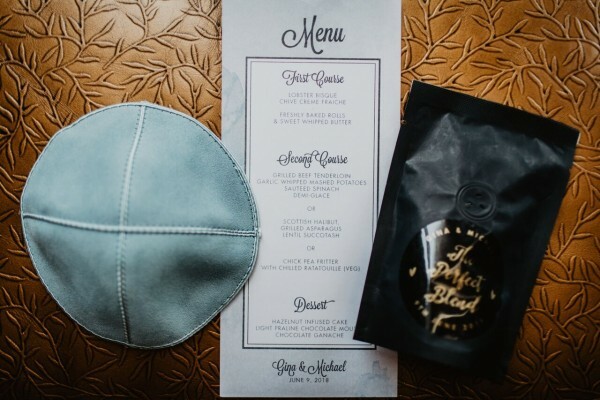 Gina went to Corvus coffee and created a custom coffee blend which she then had packaged, labeled, and stickered for each place setting! 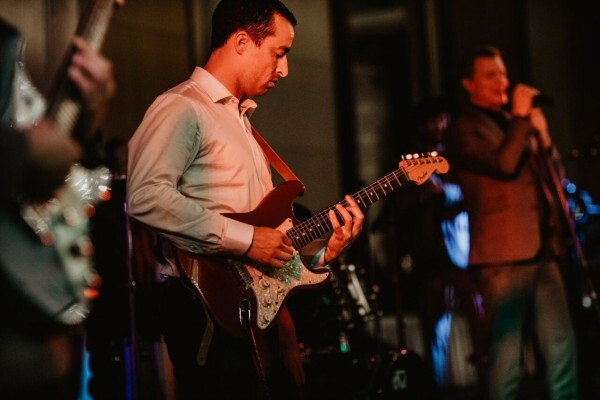 Mike also had the star role of the band’s guitar player for a few songs during the night, and he absolutely killed it! 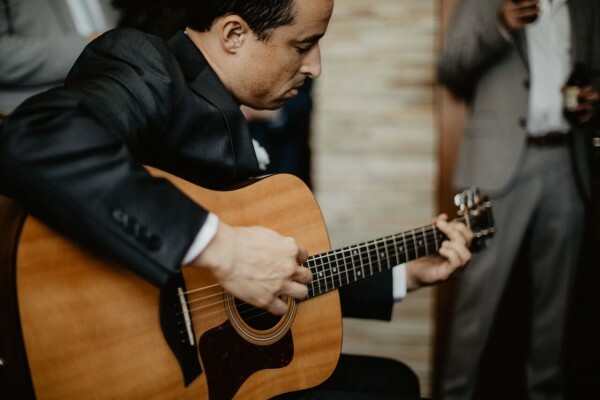 Gina married a man of many talents. 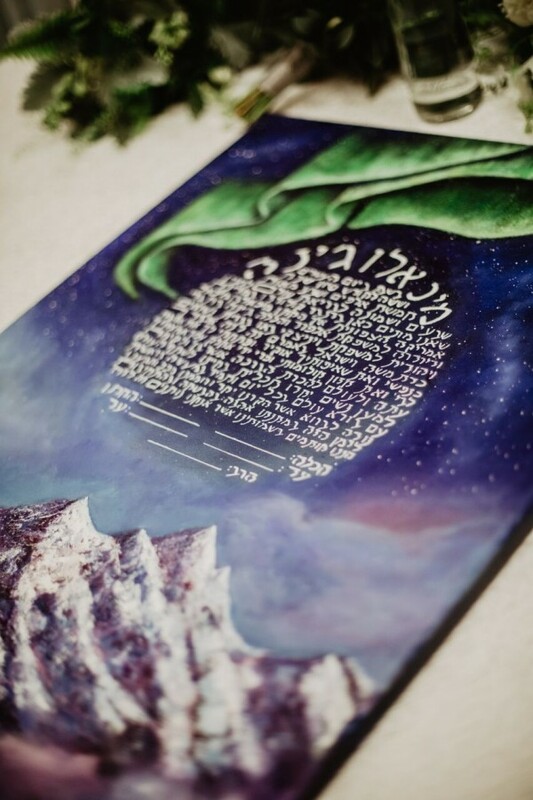 Their Ketubah was hand-painted by Gina’s father, and as you can see it was of the northern lights in honor of how Gina and Mike met. 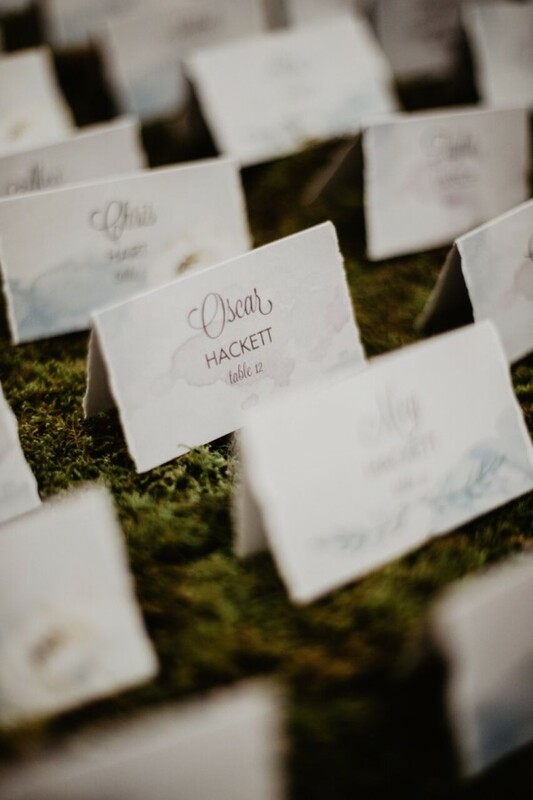 So many of these details are what made the wedding so personal. 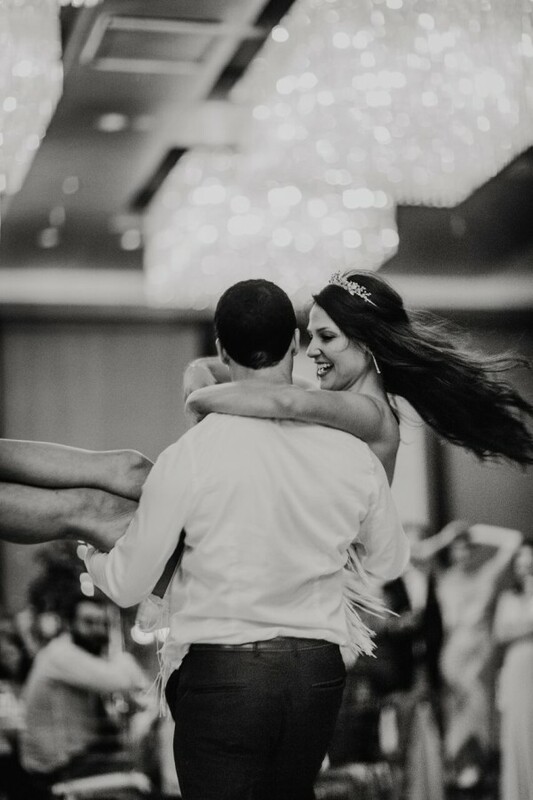 The after party of the wedding was a HUGE hit. 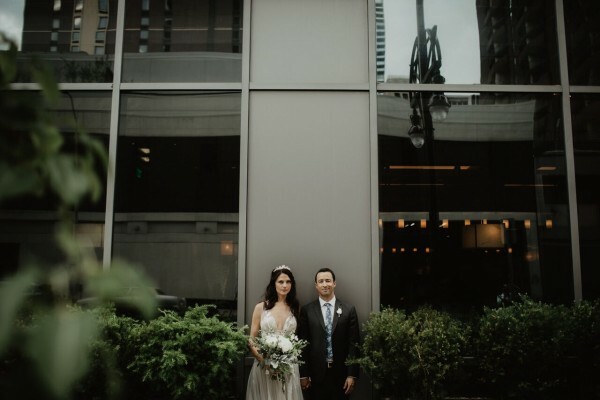 At the Four Seasons in Denver we’ve been transforming their foyer (directly outside of the ballroom), into an after party space, and it works SO well. 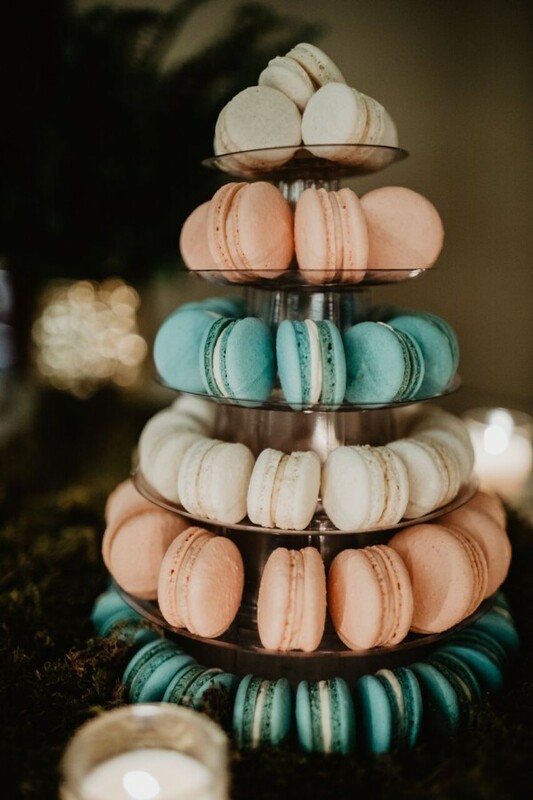 Most after parties that start at 12am don’t get a huge turnout, but this one went strong until 2am thanks to the amazing late night snacks, photobooth, cotton candy machine, lounge furniture, and DJ! 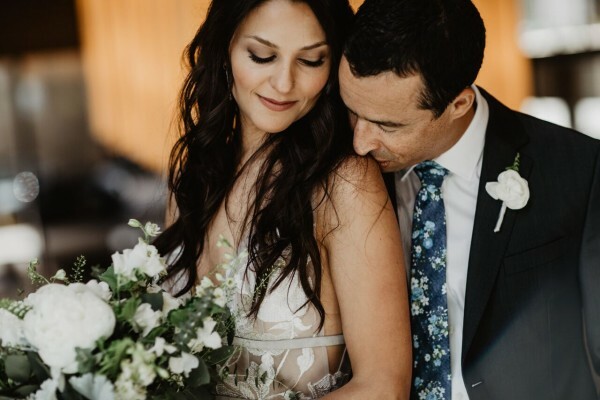 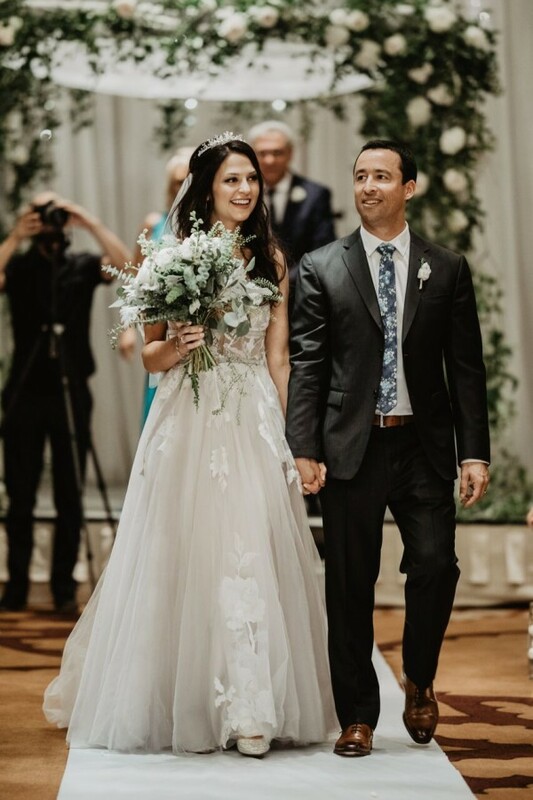 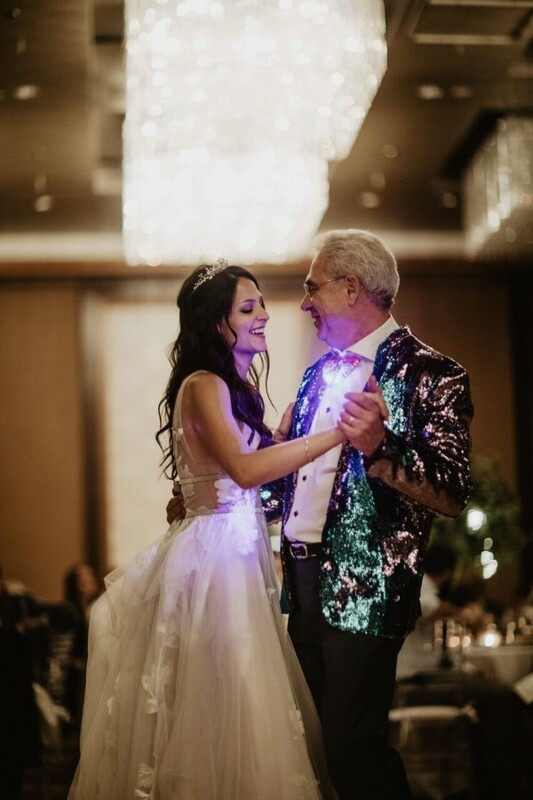 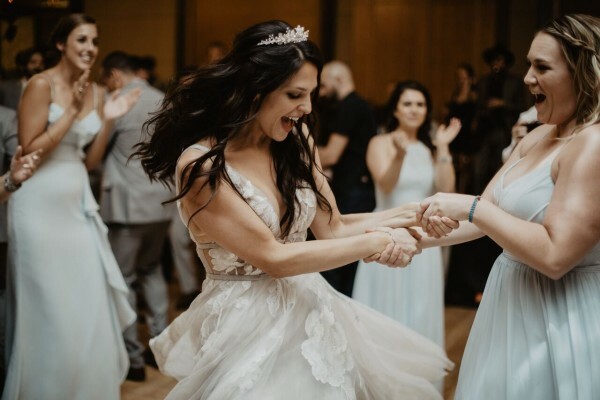 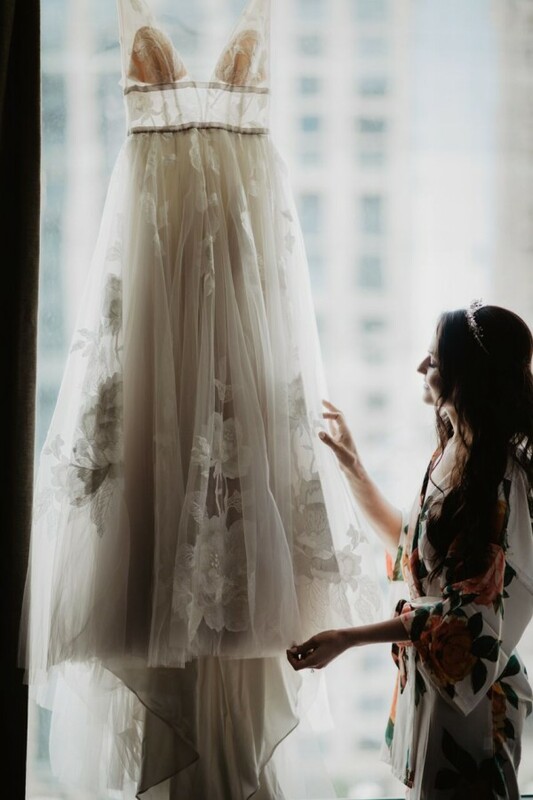 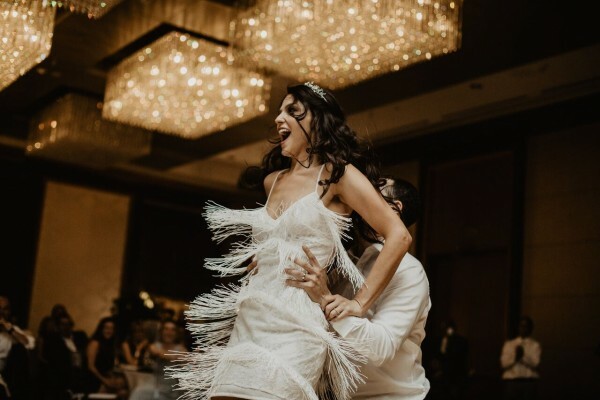 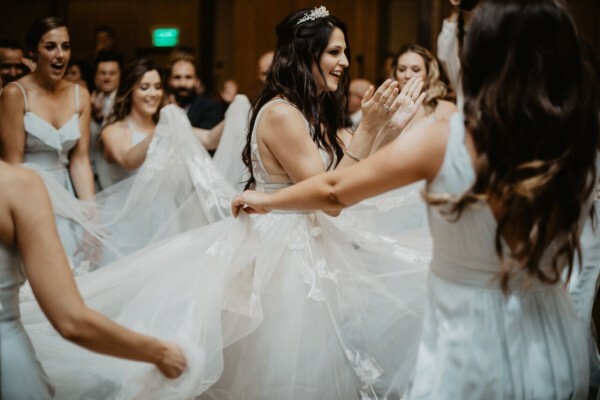 Enjoy these wonderful photos below of Gina looking like a fairytale princess on her wedding day! 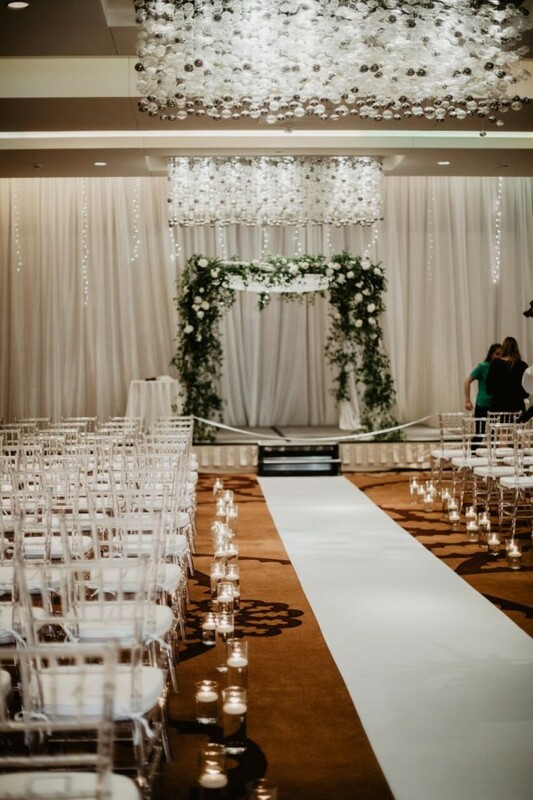 Aisle Runner: Original Runner Co.